Information sourced by faceofmalawi indicates that Speaker of the National Assembly Richard Msowoya and well-known comedian Michael Usi, popularly known as Manganya are battling for the post of runningmate in the newly formed United Transformation Movement (UTM). This has been witnessed by social media post seen by FOM’s reporter indicating that Usi will partner State Vice President Dr. Saulos Chilima in the forthcoming 2019 tripartite election. 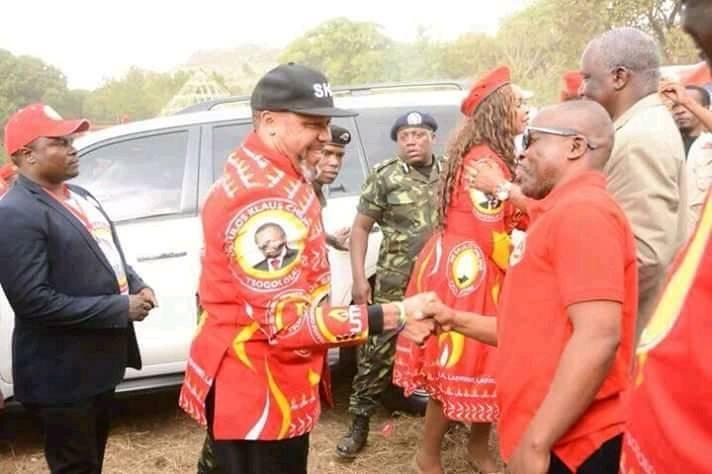 While other post indicates that Chilima will partner former Malawi Congress Party (MCP) Vice President Richard Msowoya. The posts have attracted mixed reaction among Malawians with some supporting Msowoya while others supporting Usi. Speaking in an interview with Zodiak Broadcasting Station (ZBS), UTM Spokesperson Joseph Chidant Malunga denied commenting on the matter, saying the movement’s concentration is on the launch of the grouping. According to Malunga, after the launch the movement will hold its much awaited elective conference where all acting positions will be dissolved and new office bearers will be elected. Malunga then urged all Malawians to register and vote in the forthcoming polls.